Jordan Toyota is proud to be your premier Toyota dealership in Mishawaka, IN. Our goal is to provide you with the best dealership experience from the moment you step on the lot. We have an extensive inventory of all-new Toyota models waiting for you. If you’re in the market for something more budget friendly, check out our used and Certified Pre-Owned cars, trucks, and SUVs. Jordan Toyota is conveniently located near South Bend. Stop by our dealership at 920 East Jefferson Blvd. and let us show you what we have to offer. Are you in the market for a brand new Toyota car, truck, or SUV? Jordan Toyota has all of the latest 2018 and 2017 Toyota car, truck, and SUV models! From our popular and dependable Camry and Corolla models to our family friendly Highlander, we have all of the Toyota models that will meet your everyday needs. If you need a car with great fuel economy, be sure to check out our Prius models. Still not sure which model is best for you? Our knowledge and experienced sales staff looks forward to helping you out. Stop by Jordan Toyota near South Bend and let a trained sales personnel show you our complete inventory of all-new cars, trucks, and SUVs. At Jordan Toyota, we understand that each customer has a unique set of wants, needs, and mostly importantly, budget. We offer a wide variety of used and Certified Pre-Owned cars, trucks, and SUVs so that you’re able to leave our lot with a great vehicle regardless of your budget. All of our used vehicles are priced to save you money! Find amazing deals in our vehicles under 10K. Our friendly sales staff would love assist you in your search and answer any questions. Give us a call at 866-838-9877 or stop by our dealership at 920 East Jefferson Blvd. in Mishawaka, IN. Most people cringe at the thought of sitting down with a finance expert when purchasing a new vehicle. At Jordan Toyota, your mind can be at ease while talking to our friendly and knowledgeable finance experts. Our trained finance experts will work with you to help make the best financing decision regardless of your financial background. Jordan Toyota has strong relationships with various lenders and is committed to matching you with the perfect lending company for your needs. Not sure on whether you should lease or buy ? Stop by our dealership and talk to our friendly finance experts who can explain the benefits of each option. Have you been searching for top quality Toyota service in the Mishawaka area? Our highly trained service technicians provide fast and affordable service that you can trust. We understand that you live a busy lifestyle and need to depend on reliable transportation. Our service technicians are dedicated to giving top-tier service in a timely manner, to both new and used car owners. Whether you’re coming in for a routine oil change or a transmission replacement, Jordan Toyota promises to take care of your most prized possession. Call us at 574-254-2957 to schedule your service or conveniently schedule online. 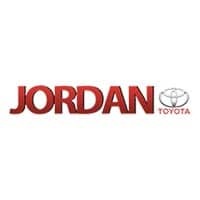 Jordan Toyota is a new and used Toyota dealership that takes pride in serving the Mishawaka community, as well as all of the surrounding areas. We’ve worked hard to redefine the car-purchasing experience for our customers locally, and from all across the state of Indiana. When you visit Jordan Toyota at 920 East Jefferson Blvd. in Mishawaka you’ll find that our experienced staff in every department have fine-tuned their skills to become subject matter experts in the areas of sales, service, parts and finance, which makes us the ideal dealership to handle all of your automotive wants and needs. The entire Jordan Toyota team is both friendly and knowledgeable, and always ready to assist our Indiana customers in any way that they can. Come by and see for yourself everything our dealership has to offer, and experience firsthand what sets Jordan Toyota apart from some of the other dealerships in the Mishawaka area. When you visit Jordan Toyota you’ll find that we’ve got an incredible selection of new Toyota models available for our Mishawaka customers to explore and select from, including the new 2018 Camry, Avalon, Prius c and C-HR. We also still have plenty of new 2017 Toyota models available, and we’re offering great deals on them in order to make room for the 2018 models that have yet to arrive. All of the new models at Jordan Toyota are available in a variety of trim levels with numerous vehicle options, so you can be choosy and find the one that’s a perfect fit for your own unique Indiana driving style. From South Bend to Georgetown, Osceola to Gulivoire Park, our customers know that when it’s time for them to purchase their next new vehicle, Jordan Toyota is the place to go. We understand that not everyone is currently able to afford a brand new vehicle, which is why you’ll find a great selection of high-quality used vehicles of all makes and models available at Jordan Toyota. At our dealership, we take our used cars seriously. Each one is carefully inspected by one of the experienced technicians in our service department to ensure both quality and safety, and helping to provide our Mishawaka customers with some added peace of mind. At the Jordan Toyota used car department you’ll find helpful and knowledgeable sales professionals that are here to serve you, and they would like nothing more than to help find the used car, truck SUV or van that’s the perfect fit for you. At Jordan Toyota, we set ourselves apart from the competition by combining our unparalleled level of customer service with a massive inventory of quality used vehicles that are available at incredibly affordable prices. The next best thing to a brand new Toyota vehicle is a Toyota Certified Used Vehicle (TCUV), and you’ll find a great selection available now at Jordan Toyota in Mishawaka, Indiana. Every Toyota Certified Used Vehicle comes with 12-month/12,000 mile comprehensive limited warranty coverage , 7-year/100,000 mile limited powertrain warranty coverage , a CARFAX® Vehicle History Report  and much more. Along with all of that, each Toyota Certified Used Vehicle candidate must pass a rigorous 160 Point Inspection that is performed by one of the experienced factory-trained technicians in our service department. When you’re looking for a used vehicle of the highest quality, come and browse the impressive Certified Used Vehicle inventory available at Jordan Toyota. When you visit Jordan Toyota to have your vehicle serviced, you’ll find a state-of-the-art service department that just so happens to be one of the most advanced Service Centers in the area. Why would you trust your favorite vehicle to anyone but the experts that know it almost as well as you do? Our service techs are factory-trained to know every Toyota model both inside and out, no matter if it’s new or old. When you need your vehicle worked on, don’t settle for anything less than the best. Visit the Jordan Toyota service department and let one of our friendly service advisors help to get your Toyota car, truck or SUV back up and running in prime condition. Our Indiana customers love the fact that we only use Genuine OEM Toyota parts when working on or replacing items on their vehicles. At Jordan Toyota, we refuse to use any second-grade or aftermarket parts on our customer’s vehicles. If you’re a do-it-yourself kind of person, the parts professionals at the Jordan Toyota parts counter can assist you with all of your needs. They’ll help make sure you’re looking for the right part and are always willing to answer any questions that you might have. We maintain an impressive inventory of parts, but if there’s one that we don’t have and you need it, we’ll order it and have it shipped to us as quickly as possible. Premium quality and uncompromising customer service is what Jordan Toyota is all about, which is why our customers come back to see us for all of their service and parts needs.